Rigorous, detailed planning. Superior execution. And hands-on control.Key elements of successful project logistics. It demands the best. Global Project Logistics division handles projects of every dimension. From the simple to the most complex. Specialized lifts, oversized cargo, multimodal shipments and customized logistics. A reliable partner—worldwide . A team of experts.Resources who can think outside the traditional rules and find solutions. We handle the jobs other companies consider too difficult. 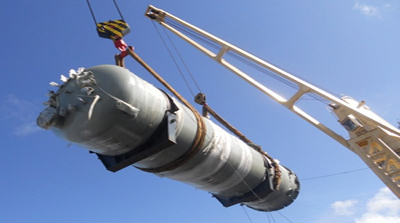 Prepare lift and tie-down recommendations to factor into the cargo design • Provide onsite representation for loading and unloading.